Every month we'll be giving you a brand new project from the 'Your WI Highlights' pages of Crafts Beautiful magazine. You'll also find more fantastic projects, blogs and craft news from Crafts Beautiful at www.crafts-beautiful.com. 1. Score and fold blue zigzag paper, 14cm x 20.5cm, in half and stick a narrow 'heart' border 2.5cm in from the top and bottom of this panel. Cover the remaining areas with pink patterned paper. Round the corners and stick to the centre of an A6 brown blank. 2. With the card in the closed position, mark 5.5cm in from either side of the fold, leaving a 4cm section in the centre. On the central panel, mark a vertical line 4cm down. With the card remaining in the closed position score through both sides, along the vertical marked lines. Score the horizontal area at the end of the trimmed lines and fold to create the pop-up element. 3. Die-cut a large circle from brown card and trim in half, then cut a small sliver from the first straight edge and stick to the pop-up panel using double-sided tape. 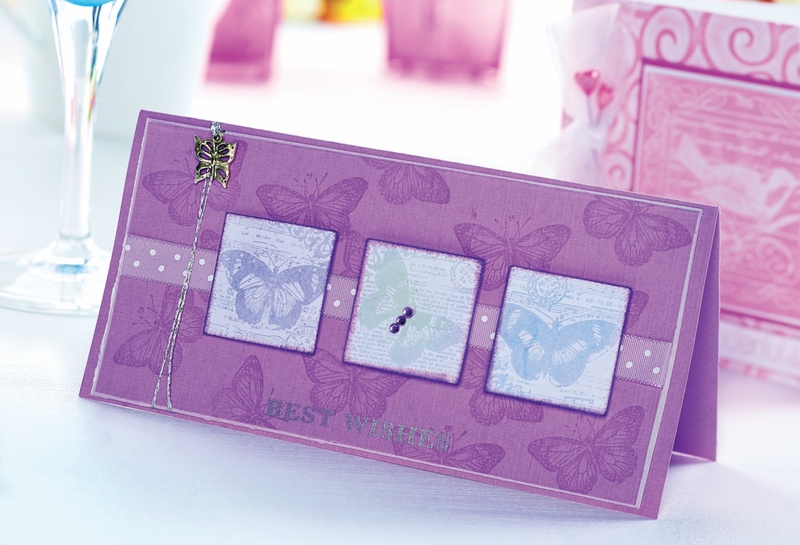 Stamp several flowers onto cream card and use the corresponding die-cuts to trim out. 4. 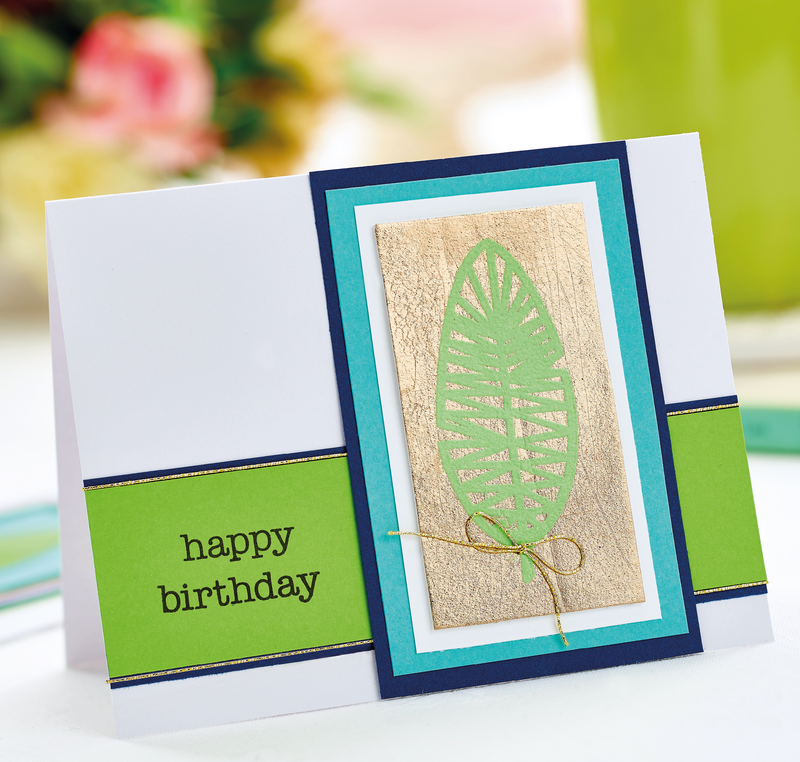 Press an inked stamp lightly onto card to create a distressed image. Punch a small hole in the centre of the large purple flower and set with a purple eyelet. Position the flowers around the pot and stick in place with a doily underneath, using a combination of foam pads and double-sided tape. 5. 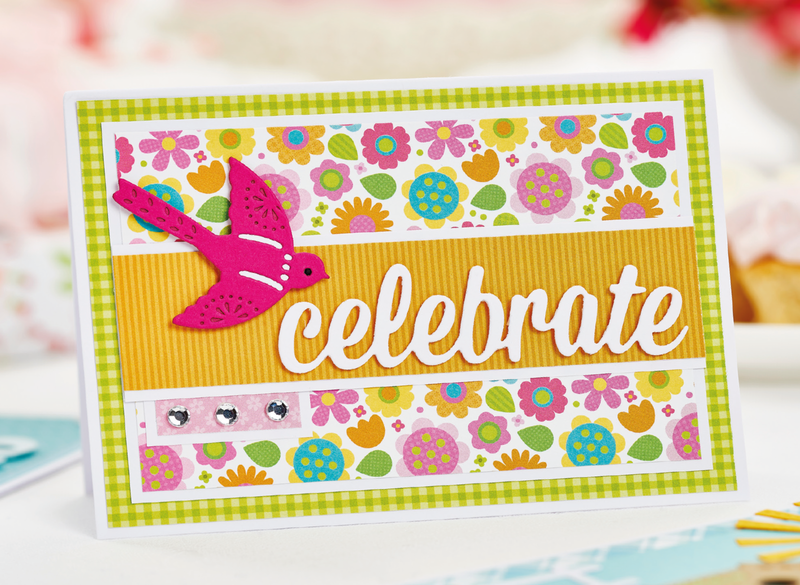 Stamp a small black bird onto cream card and stick to the heart border using 3-D pads. 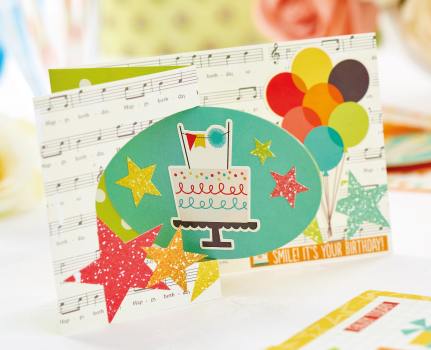 Trim 'be happy' text from patterned paper and stick to bottom-right of the card. 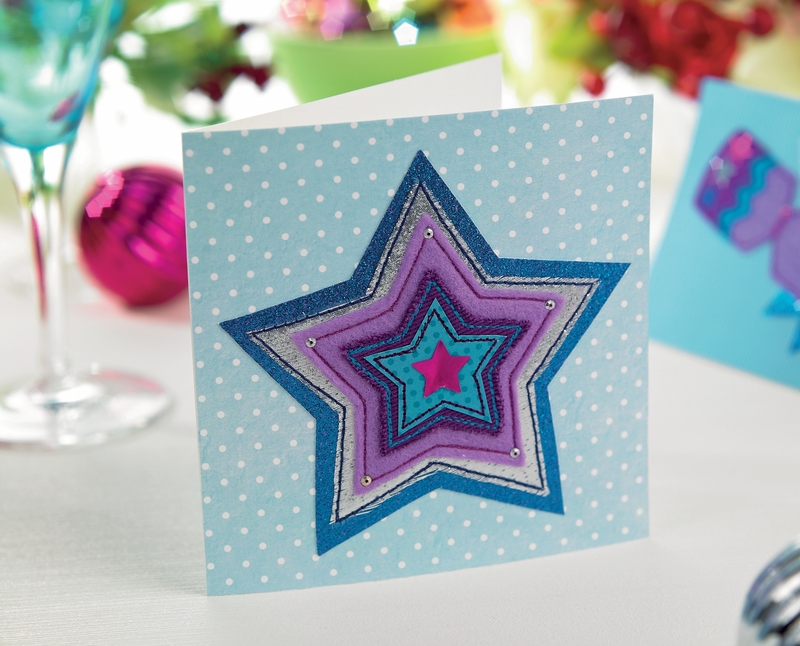 Use Tracey Daykin-Jones’ guide to create cards with colour-popping embossed spirals. Be inspired by nature with Moira Butler’s feminine stamped and embossed design. Combine vibrant purples and rich shades of turquoise with a hint of silver for a really striking alternative to the traditional red and green combo. Embellish with fabrics, sequins and glitter card to make sure it really sparkles under those fairy lights! 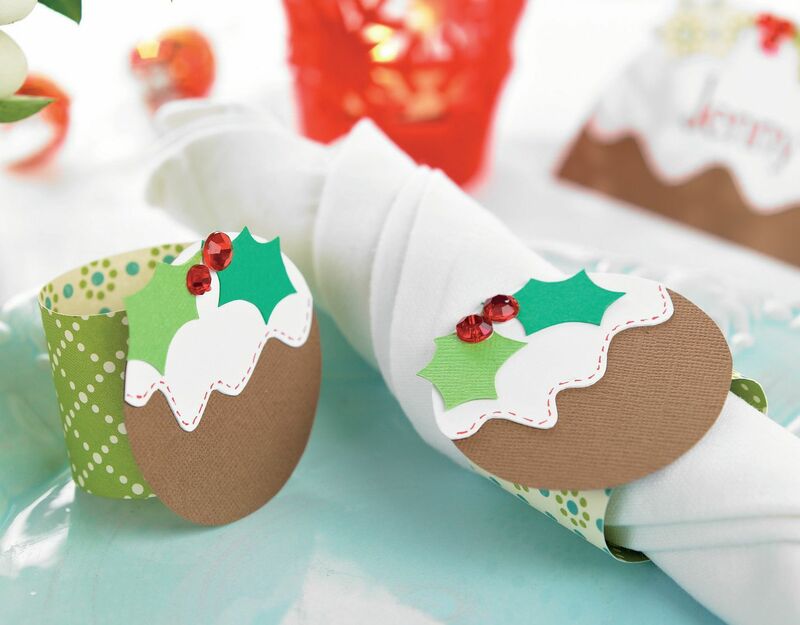 Create these simple napkin rings to brighten your festive table. 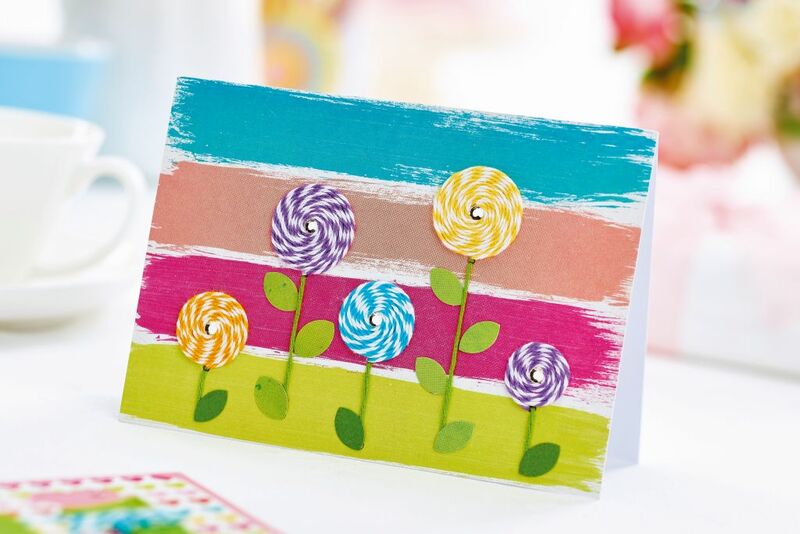 Raid your craft stash to make this simple, yet impactful greeting card to suit any occasion! 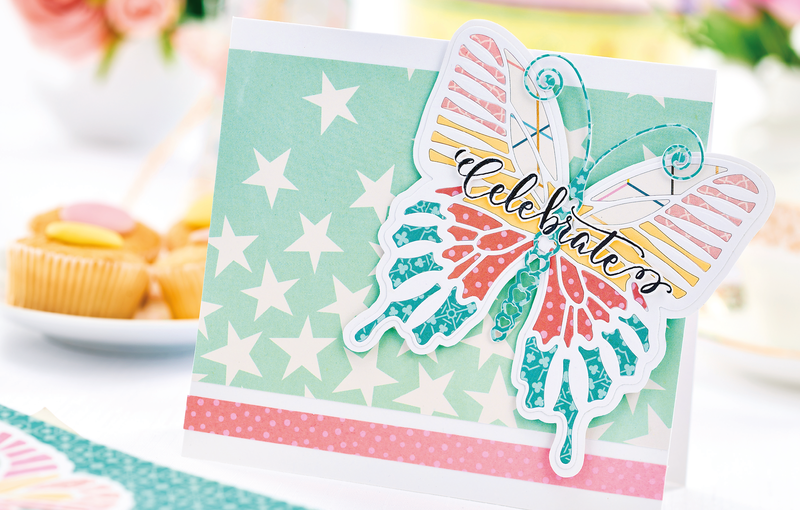 Spread your card making wings and try out different techniques to make your projects really stand out! 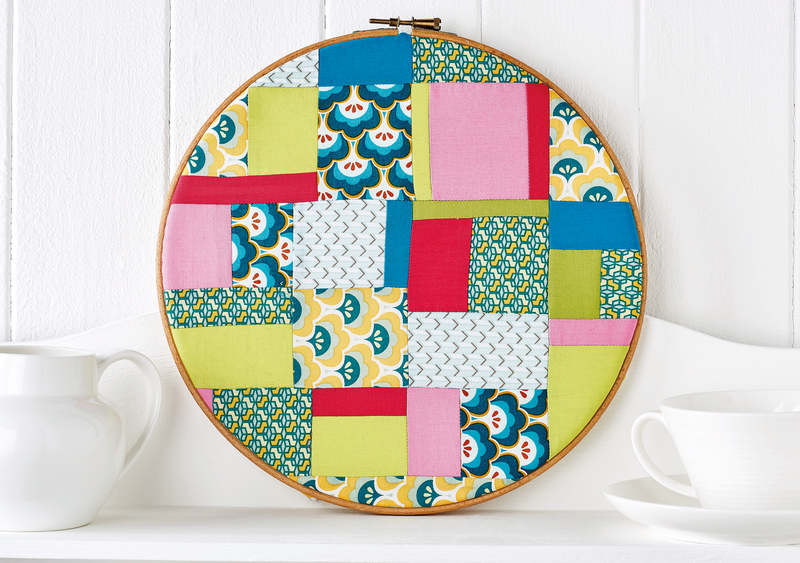 Hoop art is all the rage at the moment, team it with patchwork and that hits the spot in the style stakes. The project is easy to put together and combines papercraft with a little machine embroidery and simple hand sewing. 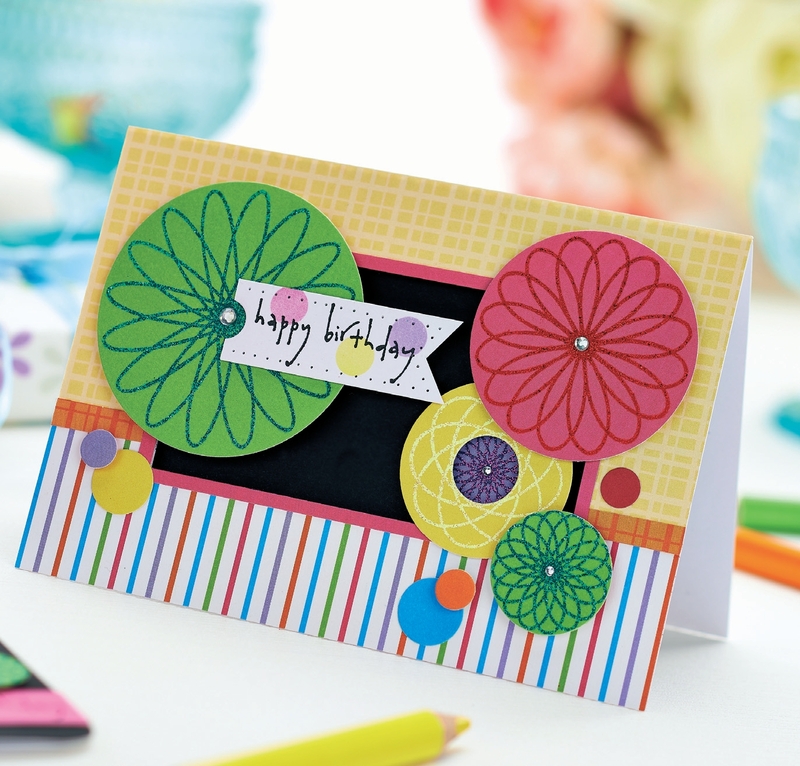 Make a pretty floral card using colourful paper and twine circles. 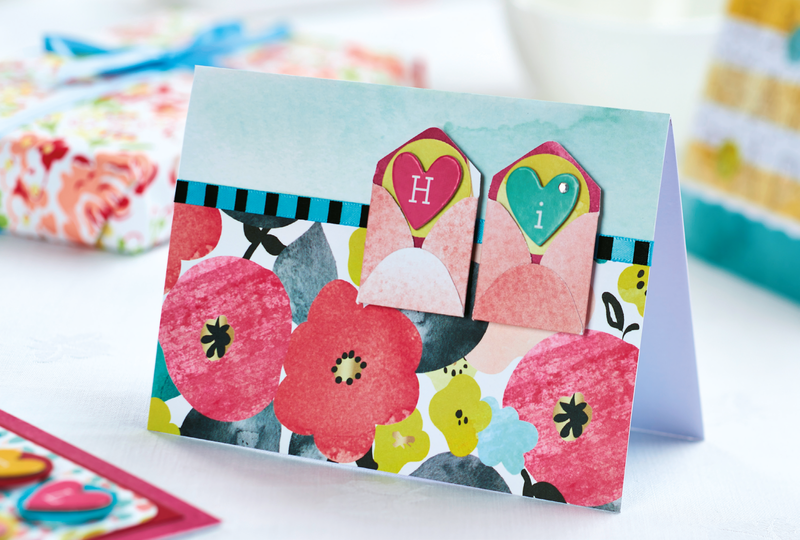 It's easy to make lovely co-ordinated cards using themed paper collections. Have a go with papers from your craft stash. Try out this lovely idea using a decorative frame and a little motivational cross-stitch. Deliver a card with wow factor to celebrate a special occasion. You can personalise them too with patterned papers and stickers of their favourite things and hobbies. 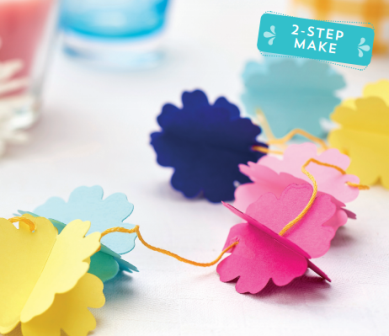 Have a go at making these sweet little bird decorations. 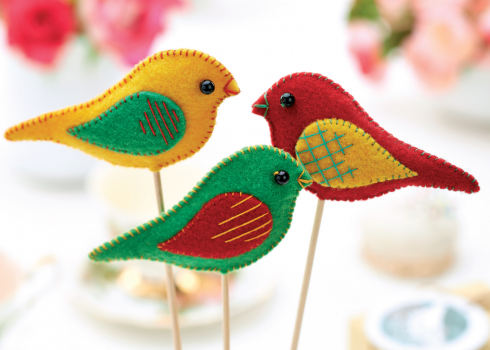 You could even change the colours of the felt to make robin decorations for Christmas. Use this foiling technique to create a special greeting card. These colourful floral decorations will brighten up your home. 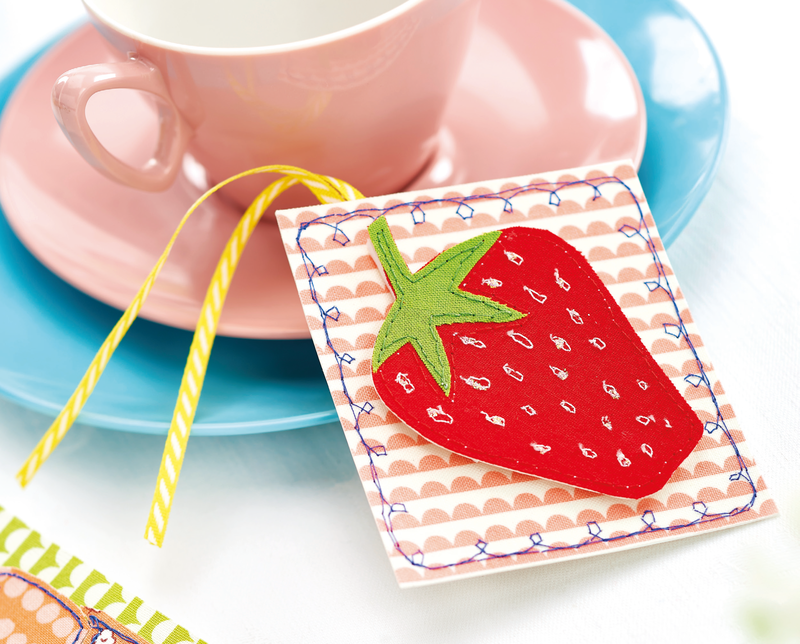 Once you've mastered the technique, you can also make a beautiful card and gift tag set. Have a go at making a nautical themed sampler for your home. 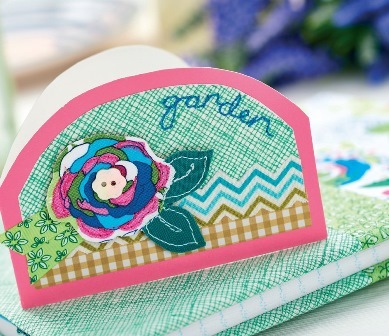 Use up your fabric scraps to make this beautiful garden card. 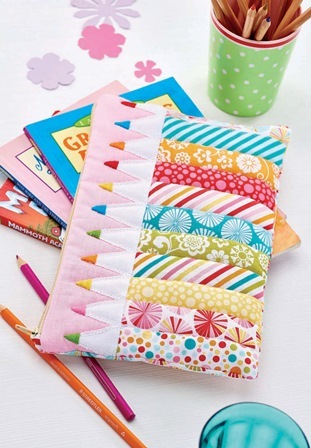 Keep your pens and pencils together in this creative and colourful patchwork pencil case. 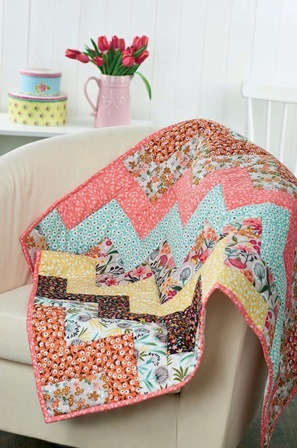 Have a go at making this colourful and cheery quilt to brighten up your home. These are just a taster of the fantastic makes and projects available on the Crafts Beautiful website and in the Craft Area of My WI.